BPL Ration card – The full form of BPL Ration card is “Below Poverty Line”, We covered the information on how to apply, Eligibility criteria and BPL list 2018 online. Central Government has categorised the Households in India into three categories as Above Poverty (APL), Below Poverty Line (BPL) and Antyodaya Anna Yojana (AAY). Along with those, Government has fixed the Ration card colours for each and every category to vary the cardholders. 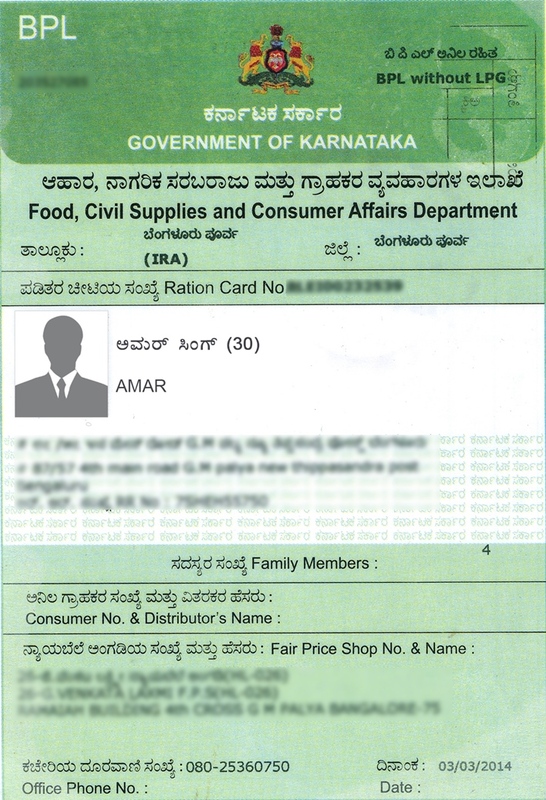 The BPL Ration card colour is Pink as allotted by the Government. Households or any applicants who come under the BPL (Below Poverty Line) Category should follow the below section as the Application procedure for BPL Ration cards is mentioned thoroughly, we also cover the eligibility criteria for Below Poverty Line here as well. Visit the nearest PDS Office or the Official website of your State’s PDS website. Required application forms are available in the Public Distribution System offices. You can download from your respective State’s PDS website. Fill in the details on the application form which are inclusive of Personal and Gas connection details. Usually, these Application forms are free of costs and If you want to download a copy just pay Re.1 to Rs.5 to the computer centre. Just ensure the details are right and filled with information. You are also needed to give your Residence address where you are personally available. The application form can be submitted as the paper or on online. The main thing is that the BPL Ration card list application form should be filled by the Head of the Family or the Head of the Household. After submitting the form you will be given an Acknowledgment number which can be used to track the Ration card status. To obtain a BPL the eligibility criteria is as follows, the applicant should be a Citizen of India and should be residing in the country for few years. Ration cards are not issued to Foreign Citizens. If the family’s income is less than the Rs. 6,400/- in Rural areas and less than Rs.11,850/- in Urban areas will come under the BPL Category. The following are the points which should be fulfilled by Households to get categorized under the Below Poverty Line (BPL) as a Eligibility Criteria. The family’s or Household’s income should not be more than the Rs.15,000/-. None of the family members should hold two hectares of the rainfed or semi-irrigated land. The family should not possess any type of four wheeler vehicle. There should not be a residential telephone in the household. The names of the applicants will be displayed on the BPL list after the eligibility and verification are done during the application procedure. These points are also can be listed under the Eligibility Criteria. No member of the family should be either Doctor or Lawyer or Architect. There should not be a professional taxpayer, a sales taxpayer, or an Income taxpayer. As explained above, the same criteria follow for the Households in other states like Karnataka, Gujarat, Uttar Pradesh, Kerala, Telangana, Andhra Pradesh etc. The condition is almost same for families who are residing in different states. The Status of the Applied BPL can be checked online with the help of the acknowledgement number provided to the applicant. It will be provided when you submit the Application Form in the PDS office. Visit the PDS website of your respective State. Click on the “Status of your Application”. Enter your Reference Number and click “Check Status”. Under the Minimum Common Need programme which was introduced by Government of India on 2015, The Targeted Public Distribution System(TPDS) will provide food and food grains to the poor families. These are provided in the states as per the guidelines and instructions issued by the Central government. The commodities covered under the minimum needs are Rice, Sugar, Wheat, Edible Oil, Pulses, Spices, Food Grains and Kerosene.